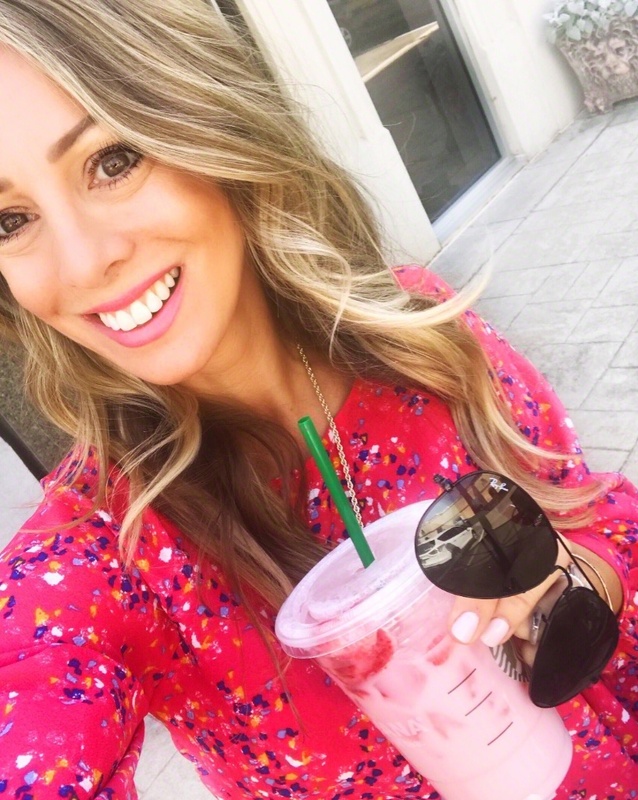 Choosing Paint for the Dining Room – Sherwin Williams Sea Salt ?? 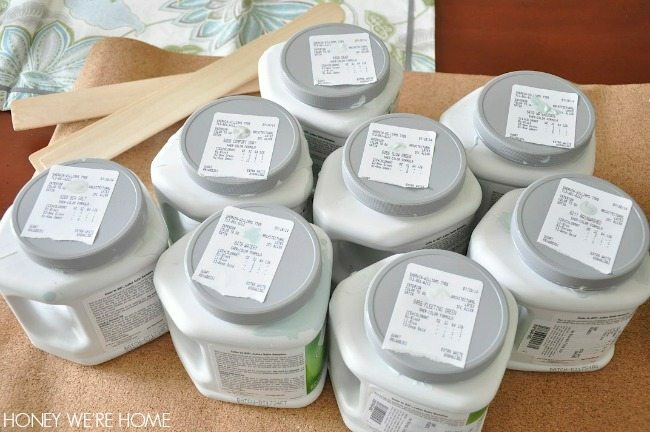 How many samples of paint does it take to find the right color for a dining room? Apparently, at least eight. I’ve been to the paint store three times in the past three days to continue testing paint samples, and I’m not even sure I have a winner yet! I’m determined to decide today though because Sherwin Williams is having their 40% off sale and I want to take advantage of it! (It ends Monday). I fell in love with Sherwin Williams Sea Salt after seeing it on Life on Virginia Street, in Sarah’s master bedroom. In her room, SEA SALT looked like a very soothing grayish-green. I thought that would go well with my dining room drapes and the rest of the house. I’m looking for something soft that will brighten my room from the duller ACCESSIBLE BEIGE and look good when I change out the accessories in the room throughout the year. I like the Accessible Beige pretty well in the rest of our first floor, and I hesitated to change the dining room because I want a cohesive look, but I figured I can find a paint that goes well with the rest of the downstairs since this room is pretty much off on it’s own. I’m not necessarily looking to match the drapes; rather, I’d prefer a complimentary color.SEA SALT is pretty, but it looks way more blue than green and a little dull in my room. Still a contender though. Will be so funny (not really) if I end up with this one after painting all the other colors on my walls. It’s the first one I put up. WATERY was too bright. Looked so gorgeous on the swatch. DEWY is nice, close to the color of the lamps I have in the now, but it’s pretty white against the creamy wainscoting. FLEETING GREEN is just a tad darker than DEWY. RAINWASHED is too blue and bright. But, it’s difficult to judge paint colors by a photograph online, or heck, even on a swatch. I swear the Sea Salt that’s on the swatch looks much more green than it does on the wall, where it reads blue. Also, I was painting the colors on top of our existing wall color, not primed walls. 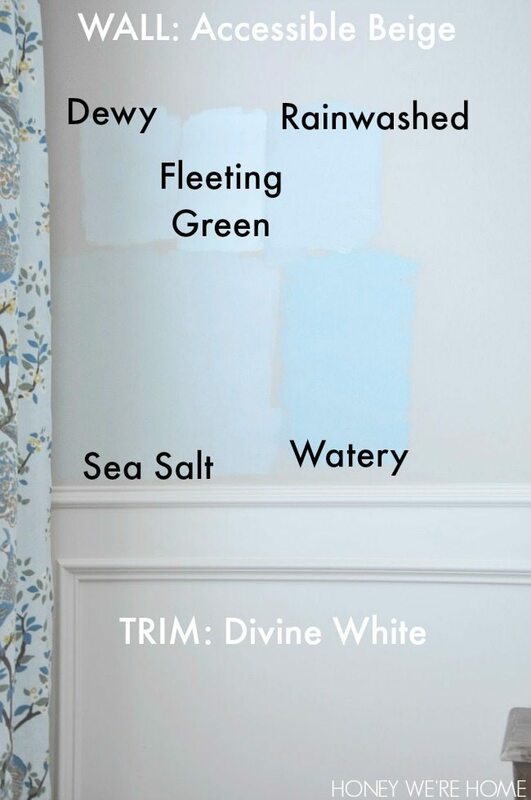 Our trim is a creamy white (DIVINE WHITE), so some of the blueish colors would probably look better against a crisp, white trim. Colors look different at different times of the day. The three pictures below were taken in the afternoon. Then, I went back for three more. These pictures were taken in the evening.COMFORT GREY – hard to tell in the picture, but this is a pretty pale olive/greenish color. It’s a contender. I looks good as you peek though to the breakfast room and see the drapes there. SLOW GREEN – pretty white. Now my walls are all crazy with these paint swatches everywhere! I’m going to look again in the morning light- the last three swatches I photographed while still wet. I don’t want to do a bold, bright color in here because that wouldn’t flow with the rest of the house, so I’m trying to find the best color that will brighten up the room, but still be soothing. What do you think?? 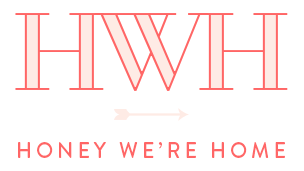 Update: Go here to see what paint I chose and how I also used it in our mudroom. I understand your dilemma. I recently went through a similar scenario and even ended painting almost an entire room the wrong color even after going through four of five swatches on the wall. My house is spiced vinegar which is very beige. I thought I wanted to go with something very similar to your dewy or fleeting green but when I got it up, it just looked way too cool next to the warmer toned beige on the adjacent wall. I ended up going with a warmer hued blue. 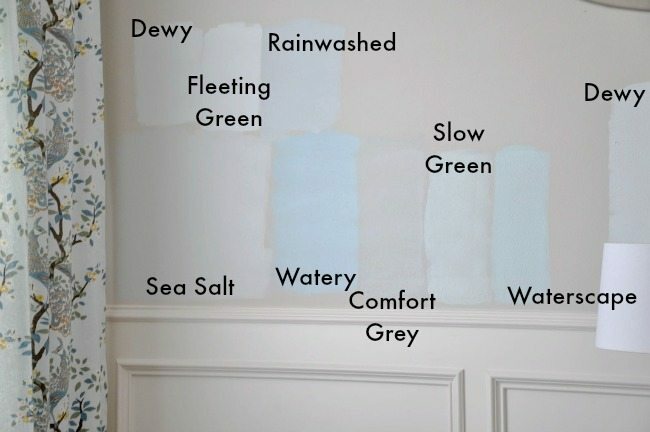 It really isn't similar to any of your other choices but if I were picking from your choices, knowing your other walls are accessible beige, I would go with the warmest of the colors, probably either sea salt or rainwashed. I hope that helps! That creamy trim is throwing things off for sure. I do not want to buy another swatch!!! I'm hoping to pick between what I already have up. 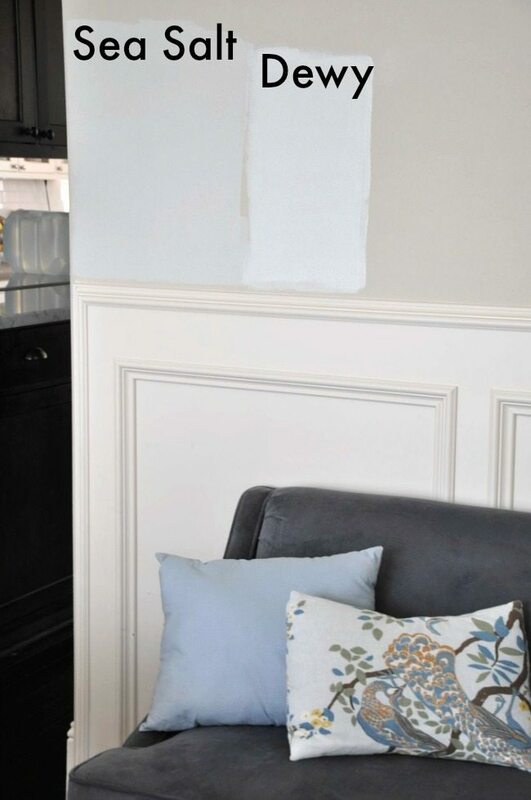 The best way to judge the true color is to paint a piece of white poster board with at least two coats to get a true color. That way you can move it around the room during the day/evening to see it in different light. I completely agree! 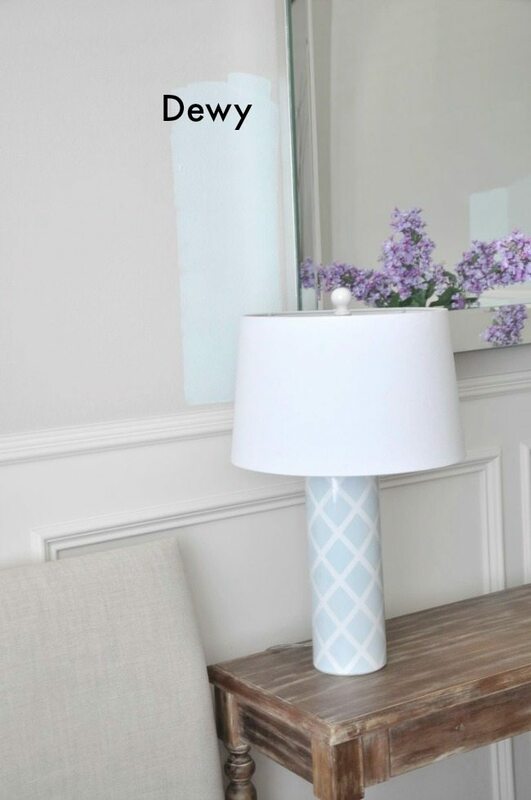 Heads up – Home Depot has a little product less than $5, you paint this swatch and it will stick and you can lift it up and reapply to another room or simply another area of the room. Definitely the sea salt and you can lighten it as well! I may do that! Thanks for weighing in- sometimes you need to hear other opinions! 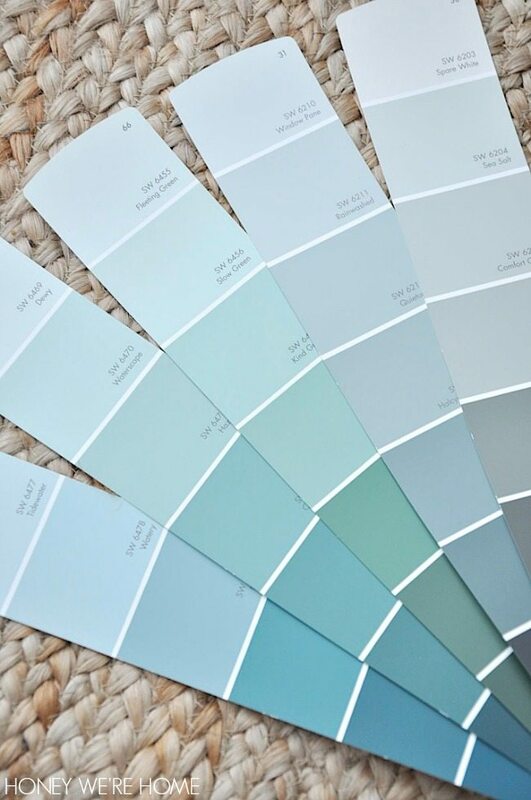 Choosing paint colors can be so hard! I also recommend Simply LKJ's tip about using the painted poster board. It really does help to be able to move the color around the room throughout the day. From the pictures you have shared I would choose Sea Salt. It looks soothing, adds a bit of color, but isn't overwhelming. Can't wait to see what you finally pick! I feel for you Megan! We went through the same thing recently and had so many swatches on the wall. It's funny how the paint chip looks perfect or I'd seen the color in someone else's home and liked it but on our wall it changed so much with lighting, time of day, etc. We took a few days to live with the swatches to decide. A thought…Have you tried Pale Oak by Benjamin Moore? It's really a gorgeous modern neutral color, a very soft gray that seems to work with anything. Courtney used it in her bedroom. We have in our guest room and I love the color. It's a favorite of mine. I would go with either Sea Salt or Comfort Grey…the others are just too much 'color' for myself. And color scares me sometimes. But I'm sure whatever color you choose, it is going to look awesome. I like the sea salt! Just popping in to say that you can buy paint from SW and then tint it later, if you don't decide. I do this all the time. I can never decide on paint when it comes to my own home. I really like Sea Salt and Slow Green. Love the look of either dewy or rainwashed. They look perfect! Sea salt all the way! I do love Sea Salt though – it's a great color! 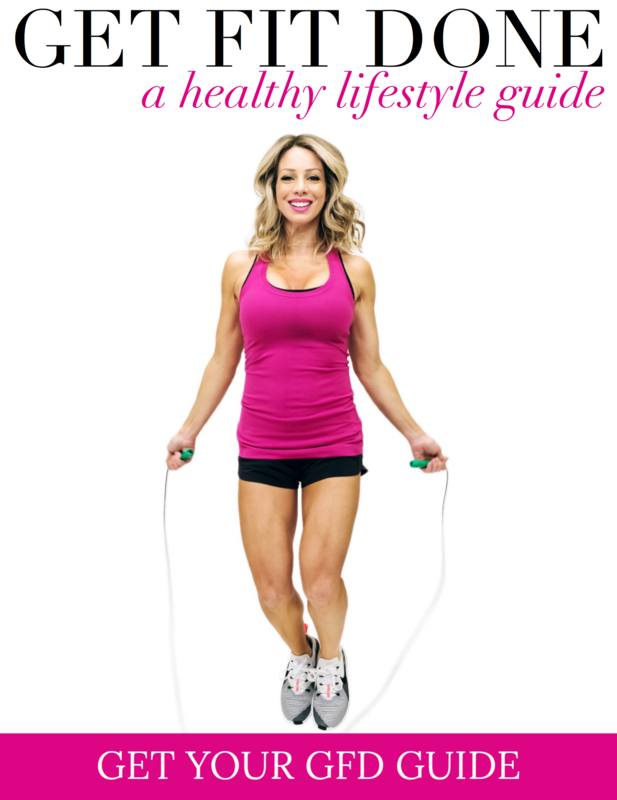 Here's my vote – Sea Salt or Comfort Grey are winners in my book! Sea Salt looks like such a soothing color, maybe its also the name that does it for me! lol 🙂 But also totally digging Comfort Grey, if you don't use it in there for sure find another place for it! And agree with the white poster board, we did that at our new house and was so much more helpful! Sea Salt gets my vote! I have sea salt in my bedroom and LOVE it. I live in an older home though, with original stained wood trim, and it was really hard for me to find colors I like with the wood trim. Sea Salt was a huge winner as the room has stained glass windows so Comfort Gray was too dark. I like both of those options in your dining room. My favorite thing about Sea Salt is how it changes colors in the light–sometimes it looks green, then blue, then gray. All are lovely though! I also like Sea Salt and Comfort Gray best. It is hard to tell which one based on the photos. Good luck – can't wait to see the end result. My entire first floor is accessible beige which I actually chose after reading your blog. We have a smaller eat-in kitchen so I painted the wall behind the table sea salt to separate the area from the rest of the kitchen. The trim is a brighter white and it shows as a beautiful light sea green and not blue at all. It's hard to see the paint colors on my monitor to know. Sherwin Williams Misty is a nice soft blue/gray that might work in your house. You can google it to see some images. Instead of the samples, I'd hold the paint chips up on the wall-you'll eliminate 95% in 5 minutes. Then tape your top 5 on the wall and look at them at different times of the day-you'll have your final 2 in 24 hours and you can try them on the wall. 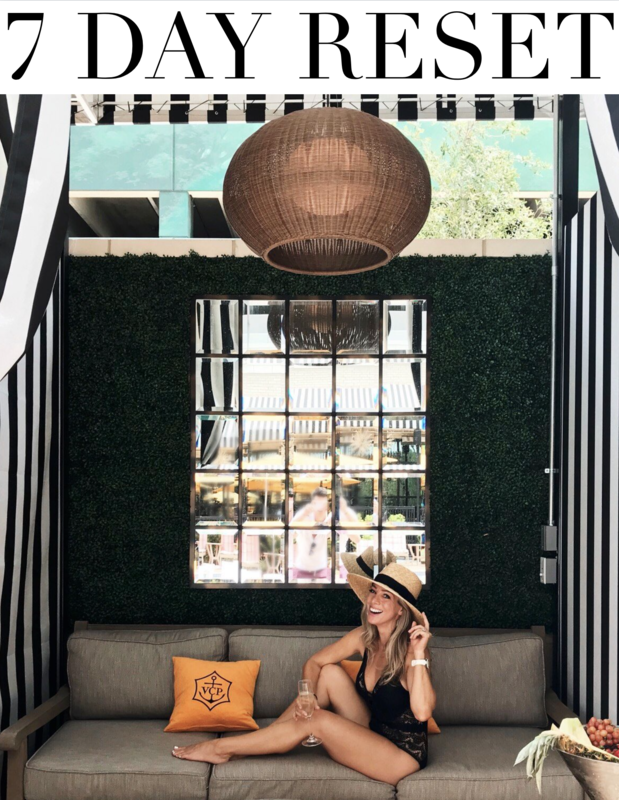 A simple way is to take an accessory in the room that you love and match the paint color to that-that way you'll know it will work. Good luck. Giiiiirl you are on my swatch. Love both those colors. My kitchen was painted sea salt at my last house. With light it DEFINITELY reads blue. In the evenings it would be a pale grey. I tried a test area at my new condo kitchen with sea salt and because the light is low it always read grey. I had comfort grey in my bedroom and I loved it. It definitely reads more green. It was the perfect greeny grey. I decided to try restoration hardware's silver sage in my new bedroom and to be honest I really miss the comfort grey. Here is a link if you want to see the colors in my old space. Honestly though, I don't think you can go wrong. And if alleviates any stress… you can buy a gallon of white paint at 40% off and then when you decide on the tint, you can go back and they will add the colorant for you at a future time. Definitely do Sea Salt! I've used it in my last 3 houses and LOVED it!! Sea Salt!!! Now you have me reconsidering my dining room walls. Sea Salt. Definitely Sea Salt. Even the name…I love. I really liked the "Waterscape" color with your room. All of your decorations seem to match that shade best. I don't blame you at all for looking at so many different colors of paint. I always bring home at least three different swatches to test out. I see this post is old and you've probably already decided on a colour by now. I am searching also for the perfect coastal calm green and wandered upon your post on Pinterest. You've probably already selected a colour…but if not, consider Contented or Filmy Green by Sherwin Williams. Sea Salt was too blue for me too. I just spent hours driving from Home Depot to Sherwin Williams and have multiple paint cans. Oh, I feel better now you have eight and I was frustrated with my three! So far for my bright, super bright sun filled upstairs bedroom rainwash is my choice. Will keep you posted. So funny!!! I just painted my family room and kitchen the mindful grey and did the 15% on ceiling. I am loving the change. I had built ins painted Dove White. And had the master painted rainwashed. Perfect for the bedroom! This is great for our dining area of our house in LApu-lapu City. I had a sample of sea salt and comfort gray on the wall of the master bathroom. In the daylight I liked comfort gray. At night I liked Sea Salt. I just couldn’t decide and even though there is only one shade difference, there is quite a bit of difference. I decided to mix Sea salt and comfort gray (half as much comfort gray) to get a blend between the two. My husband questioned my sanity at first, but then agreed we liked both, but sea salt was a little too light and comfort gray was a little too dark. Hope it goes ok. Here we go! Sounds like a great solution! It can be challenging to get the color just right! Let me know how it turns out!